Dr. Phillips is a leader in the treatment of snoring and sleep apnea in North and Central Florida, and is dedicated to improving sleep and overall health. 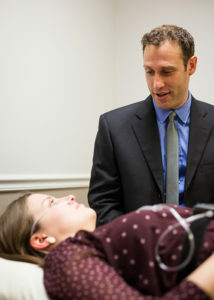 After graduating college and completing his medical school training at the University of Wisconsin-Madison, Dr. Phillips completed his otolaryngology (ENT) residency training at Louisiana State University Health Sciences Center where he immediately became fascinated with sleeping disorders and the anatomy and physiologic of airway collapse during sleep. In treating patients with a variety of Ear, Nose & Throat complaints, he had special compassion for those suffering from poor sleep who had been struggling with positive airway pressure (CPAP) for years.After completing residency, Dr. Phillips went on to complete a special fellowship in Sleep Medicine & Sleep Surgery at the Medical College of Wisconsin in Milwaukee, WI, under the mentorship of one of the world’s experts in sleep surgery. He was fortunate to learn a wide variety of both medical and surgical treatments for sleep apnea, and how to individualize treatment for each patient. During that time, he gained knowledge in the diagnosis and treatment of all sleep disorders and conducted research focused on finding better ways to identify sites of airway obstruction during sleep. 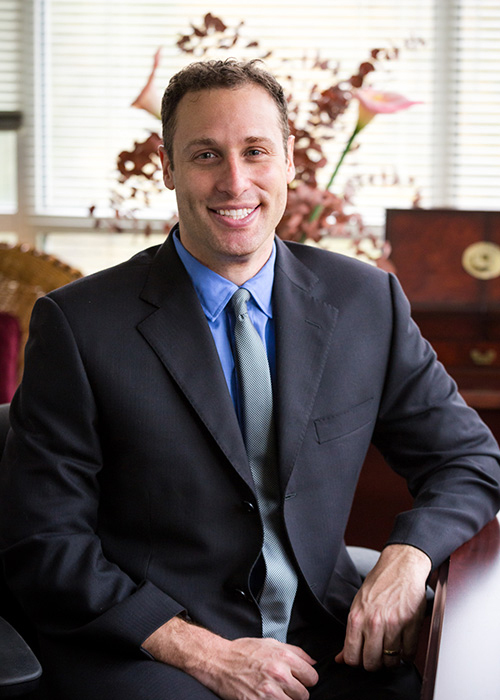 After completing fellowship, Dr. Phillips started practice in Orlando, where he developed the upper airway stimulation therapy program prior to relocating to Gainesville to start a family. He has co-authored a textbook chapter in the diagnosis and treatment of snoring and sleep apnea, read by ear, nose and throat physicians throughout the country. Dr. Phillips is double board-certified in Otolaryngology-Head & Neck Surgery (ENT) and Sleep Medicine & Surgery, through the American Academy of Otolaryngology-Head & Neck Surgery and the American Board or Sleep Medicine. He is the only physician in North and Central Florida to have this dual training. He is a fellow surgeon of the prestigious American College of Surgeons (FACS). While Dr. Phillips specializes in the treatment of snoring, sleep apnea and sleep disorders, he maintains a full practice in the medical and surgical of all other Ear, Nose & Throat problems, including thyroid & parathyroid surgery, sinus surgery, treatment of nasal obstruction and congestion, hearing loss and ear surgery, tonsil and adenoid surgery, head and neck cancer treatment and surgery and salivary gland surgery. He enjoys treating patients with a variety of ear, nose and throat problems, and understands that the best outcomes are when the physician and patient can come together to form shared goals for improving health and well-being. He is an active member of the American Academy of Otolaryngology-Head & Neck Surgery (AAO-HNS) as well as the American Academy of Sleep Medicine (AASM). He lives in Gainesville with his wife and daughter.